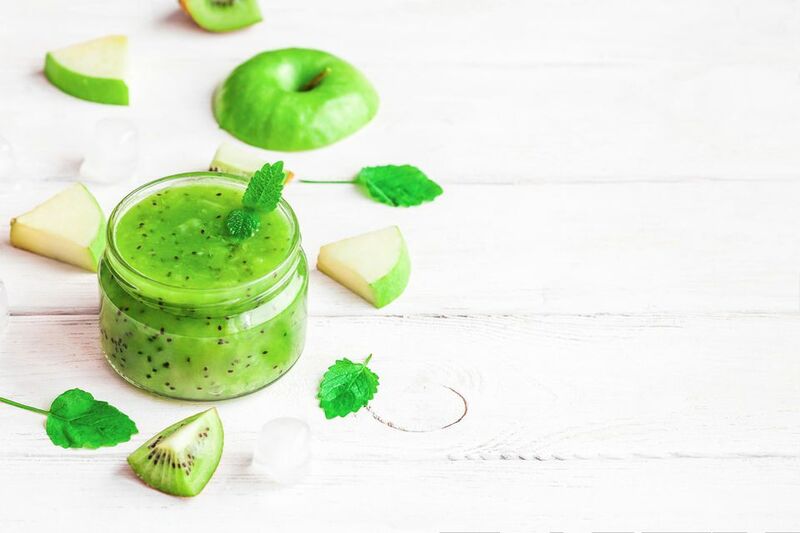 This Apple Kiwi Superpower Smoothie will reinvent what it means to say “An apple a day keeps the doctor away.” What’s interesting about the 21st century is that now we know a lot more about why that saying came about. Apples are beneficial for the cardiovascular system, digestion, and are rich in phytonutrient polyphenols that help with blood sugar regulation. Recent research indicates that apples lower C-reactive protein (an inflammatory cardiovascular risk marker) and help protect the lungs from both asthma and lung cancer. It’s important to note that many of these benefits are lost in cooking and juicing, so smoothies and consumption of the whole fruit are the best way to go. Kiwis are another fruit that benefits lung function, and a single fruit contains nearly 100% of the RDA for Vitamin C. Researchers are still trying to figure out what phytonutrients in kiwis manage to protect human DNA, but they do know that these fuzzy little guys manage to do so with a powerful arsenal of antioxidants. Kale is an anti-inflammatory, anti-cancer nutritional superfood that supports the body’s detoxification pathways. It is the richest source of anti-inflammatory vitamin K in the plant kingdom and provides potent quantities of vitamins A, C, manganese, and numerous other nutrients. Cilantro is an excellent plant for digestion and is used in heavy metal detoxification. Ginger rounds out the mix with powerful anti-inflammatory benefits. This little root is warming, provides relief from nausea and gastrointestinal upset, and is beneficial for all forms of arthritis. Blend all ingredients until smooth, adding more water if desired.